Ardoq’s magazine will help businesses achieve a return on investment with their EA projects, and is packed full of advice on how to realize its full potential. This special ROI edition is cutting through the noise to focus on getting tangible value from EA. 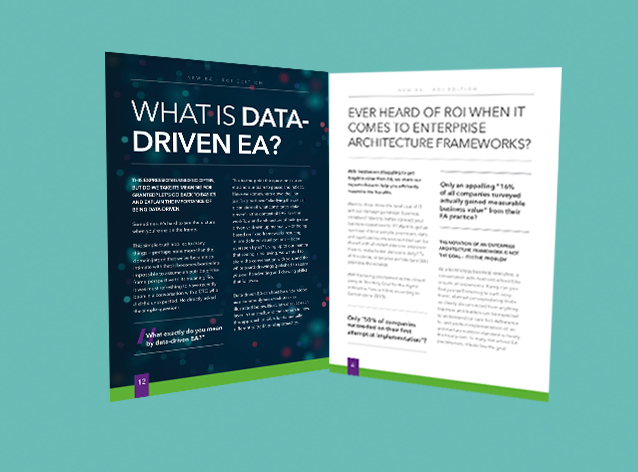 We’re sharing our expert advice to help you efficiently maximize the benefits of EA, and democratizing EA to make it data-driven, accessible, and valuable to many.